We have previously discussed astral projection and the silver cord in previous blog posts, but there are still many things that need to be tackled to even begin trying to fully comprehend the concepts of astral projection. And here is a very quick beginner's guide to astral projection that anyone can read and learn from. To put it simply, as the name implies, it is the process of projecting your astral self out of your body, to explore the world or the astral plane, and be free of any physical bonds. Once outside the physical body, the astral body can experience and perform many different things, like flight, visions of worlds unknown, and meeting spiritual and astral beings. When you astral project, your astral body will be tethered to your physical body by the silver cord, a lifeline of sorts that allows you to come back when it is time. Learn more about the astral plane and the silver cord in our previous post here. 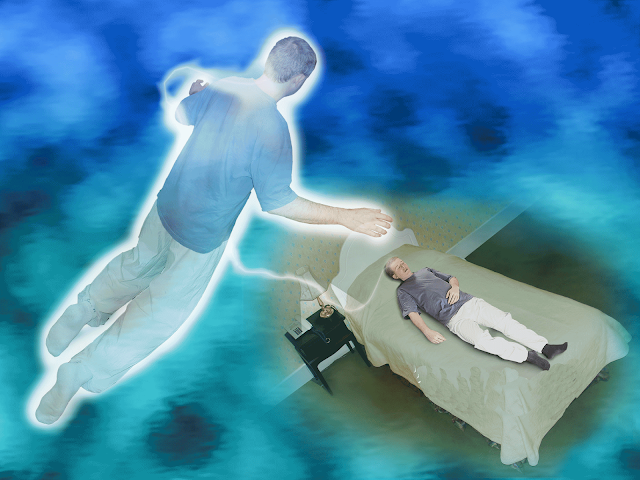 What are the basics of astral projection? There are a number of critical components for astral projection that need to be dealt with in order to experience it, and anyone who wants to try astral projection for the first time must be fully aware of them. Belief and desire – before even attempting the process itself, one must have the proper desire to astral project, and a certain level of belief that it can be done. This is where it gets tricky with skeptics and believers, with skeptics claiming that astral projection is hogwash, despite numerous accounts of believers and practitioners having experienced it already. If you believe that it is all crockery, even with the desire to have your skepticism broken, it will be very difficult to astral project. On some degree, there has to be a level of “faith” that astral projection is possible, as it requires a fundamental belief in the presence of an astral body, an astral plane, and the metaphysical world which is not normally seen. This is the first hurdle. Concentration and relaxation – these two elements go hand in hand despite being somewhat different from one another. Relaxation is clearing one's mind of any negative emotions and thoughts, while concentration is making sure you are able to focus on certain things without giving in to distractions. Both are key elements in astral projection, and being strong in both aids in pulling the astral body out of the physical much easier. There are many ways to be able to relax and concentrate, as we have detailed in previous blog posts regarding meditation and lucid dreaming, but some of the basics include using a binaural beats track, having the right environment and surroundings, performing a proper mantra, and visualizing. Separation – this is the final element in astral projection, as this is when the astral body breaks free of the physical body and is able to travel beyond physical boundaries. This final step is the most critical, and the most difficult, as it heavily relies on the first 2 elements. Any doubt, any fear, any loss of relaxation or concentration and the separation procedure may be interrupted, or even outright become unreachable for that session. We will discuss the details of separation in the next part of the beginner's guide to astral projection, but what you need to remember is the precursor of separation: a buzzing or vibrating feeling where you can feel like you're breaking free off your skin. If you have felt this while sleeping without even knowing what astral projection is, you might have unknowingly started the process naturally! Once the vibrations begin and takes hold of you, this is when you can “peel off” or “roll over” or “pull away” (terms we will go into detail in the follow up post) and begin your astral projection journey! Study these three basic components, and use our blog to be able to fully understand them. Once you're ready, go to part 2 of our beginner's guide to astral projection and let's break down the step by step process needed. Also, don't forget to prepare a binaural beats track for astral projection, like this one, to get yourself ready! The most advanced lucid dreaming supplement today. Join the lucid dream revolution!